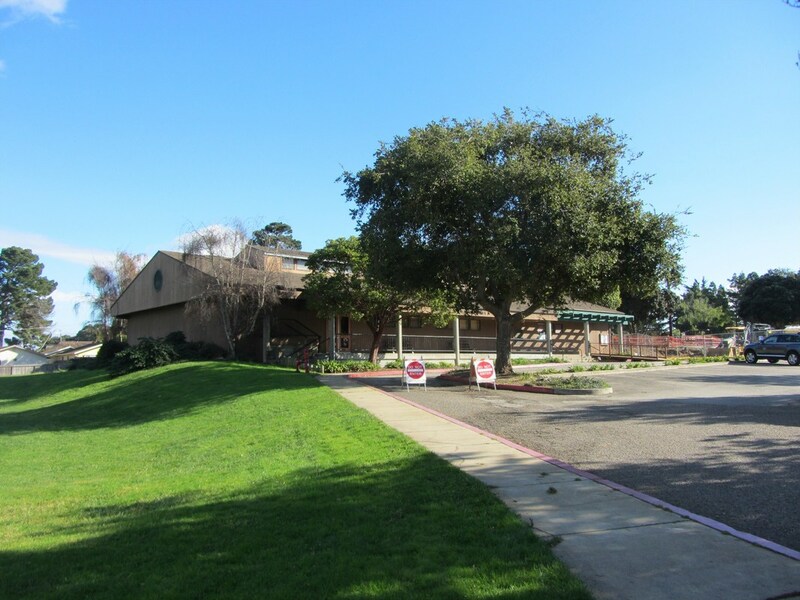 The Los Osos Community Center and the Park are the heart of Los Osos. Holiday events, community gatherings and so much more happen at this special location. ​It also happens to be one of the nicer parks where dogs are allowed. If you are interested in our dog training services and are unable to drop off your pet at our training facility, we'll meet you here! This way we can evaluate your pup and you can evaluate us! We love changing dogs' lives and the lives of their owners. Our dog training services sometimes seem like magic, but they aren't. Our training results are from consistent reinforcement of trained behavior. We praise the good and punish the bad behavior while directing our pups to the correct path. We use a variety of tools and training methods, but our favorite results-producing tools are the prong collar and e-collar. Don't worry, these aren't harmful when used properly. In fact, these tools saves lives! If you are unsure, just call and chat with us. We'll help put your mind at ease. Our Board and Train program is our most popular service. Think of this as your week off from being a pup-parent. While you are taking a vacation from your crazy dog, whom we know you love, your dog is going through doggie boot camp! We keep the days structured with set wake up times and set bed times. In between, we rotate between our pups to ensure each dog gets individual attention. In many cases, we are able to train two dogs together - a great way to work on socialization and distractions. Not all dogs are in need of just basic obedience training. Some dogs need specialized attention to target and retrain their aggressive or reactive tendencies. If your dog falls into this category, be sure to call us. We have helped many aggressive dogs, but usually the aggression is a symptom of something lacking at home. This could just be a lack of structure, discipline, or too much love! Yes, it is possible to give them too much love - it makes them feel like they are more responsible than they are are. Since they feel that way, they'll act that way which can result in resource guarding, growing, snapping, biting, or other unwanted, dangerous behaviors. Training dogs that fit into this category can be dangerous, but it is where we feel truly fulfilled and where we truly are able to save lives - not just change them.